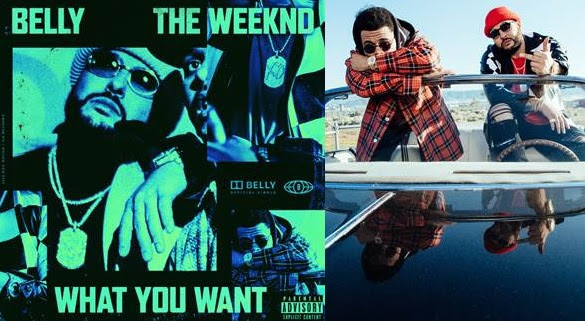 Today, multiplatinum-certified Academy® Award-nominated and GRAMMY® Award-winning rapper, songwriter, and producer BELLY shares his new single “What You Want” [feat. The Weeknd]. Following tracks like the platinum-certified “Might Not,” “What You Want” reteams these two frequent collaborators and friends on a hypnotic anthem befitting of their shared history. Airy keys resound in the background as BELLY’s melodic delivery takes hold. He locks into a call-and-response with The Weeknd that culminates on a spirited and sweeping refrain, “I’ve got what you want.” It stretches both their talents to new heights yet again. “What You Want” continues to increase anticipation for the arrival of BELLY’s forthcoming project—Midnight Zone—due out later this year. It also boasts the banger “4 Days” [feat. YG] and “Man Listen,” and recently released anthem “Maintain” [feat. NAV]. Catch BELLY on tour this summer and get ready to enter Midnight Zone. BELLY packs the punchiest flow and wildest wordplay north of the border. Carving out a devout underground following in addition to making a name for himself as a songwriter, he landed a RIAA Platinum-certified smash with “Might Not” [feat. The Weeknd] from his 2015 project Up For Days. 2016’s Another Day In Paradise followed, boasting cameos from the likes of Travis Scott, Kehlani, B-Real, and Lil Wayne. Inzombia placed hip-hop in a state of shock and awe with the hit “Frozen Water” [feat. Future] as well as collaborations with heavy hitters such as Young Thug, Jadakiss, Ty Dolla $ign, and more. Most recently, he maintained that cognizance on 2017’s tape Mumble Rap. Executive produced by Boi-1da, BELLY, and Dannyboystyles, the project included Pusha T harking back to the art of spitting, slyly name-checking modern “Mumble Rap” as it unseats the movement with classic charisma and rambunctious rhymes and pays homage to the past, while moving ahead at lightspeed. His influence extends beyond his own discography though. Belly co-authored Beyonce’s “6 Inch” featuring The Weeknd, which is taken from the acclaimed visual album Lemonade. He also co-wrote six tracks from the chart-dominating triple-platinum 2015 epic, Beauty Behind The Madness, including “Earned It (Fifty Shades of Grey)”, receiving an Academy® Award nod for “Best Original Song” and notching the GRAMMY® Award for “Best R&B Performance.” Additionally, he co-wrote on The Weekend’s GRAMMY® Award-winning Starboy in 2016. 2017 saw him contribute a standout 24 bar “Interlude” to DJ Khaled’s blockbuster Grateful before joining G-Eazy’s powerhouse remix of “No Limit” as a co-writer alongside A$AP Rocky, French Montana, and Juicy J.